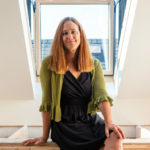 From mod architects to L.L. 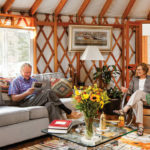 Bean’s old crib, Maine pros and projects have been racking up home-and-design awards left and right. Honor: Architect magazine’s annual Top 50 list, a nationwide ranking of firms in the categories of business, sustainability, and design. Recipients: Portland’s Kaplan Thompson Architects placed 38th for sustainability and GO Logic in Belfast took 43rd in design. 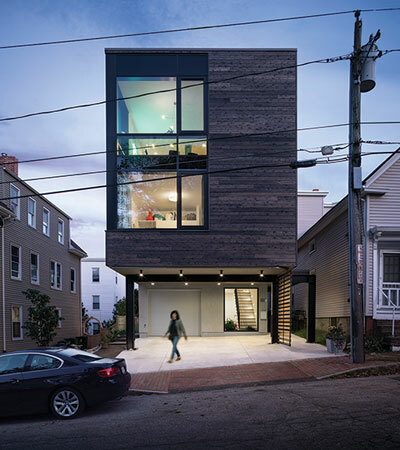 Highlight: In Portland, GO Logic’s modern twist on a townhouse, featuring a two-story main residence, with an apartment and a garage below, helped clinch the firm’s win. Honor: The New England chapter of the American Society of Interior Designers’ annual design awards. 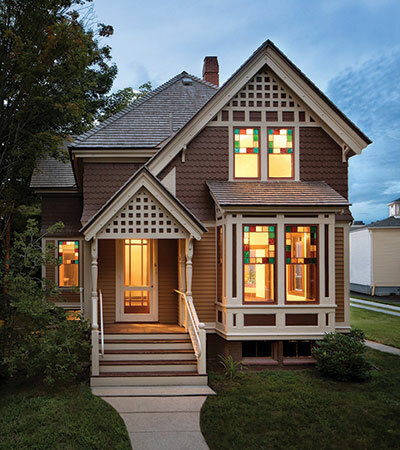 Recipient: Linda Banks, of Banks Design Associates in Falmouth, won the competition’s Whole House category. 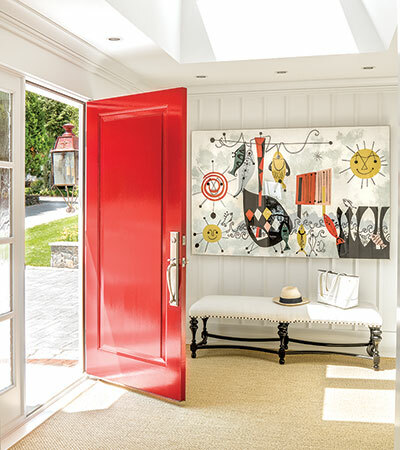 Highlight: Banks’s project — a gut renovation of a 1960s Falmouth Colonial — features pops of fire-engine red, the homeowner’s favorite shade. Honor: Maine Preservation’s annual Honor Awards, recognizing standout buildings and champions in the realm of historic rehabilitation. Recipients: Thirteen statewide revitalization projects, along with preservationists John G. Morse IV, Jane Morse (posthumously), and Frances Bowen, all of Bath. Highlight: The Queen Anne–style former home of Leon Leonwood Bean in Freeport, designed by famed Portland architect Francis Fassett. 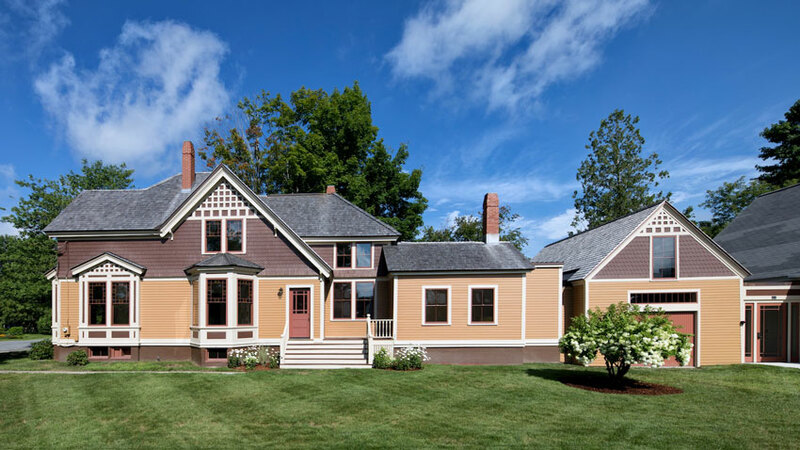 Built in 1888 and purchased by Bean in 1912 — the year he founded L.L.Bean — the residence underwent a meticulous, 12-year restoration. It’s now the Leon L. Bean Home and Archive Center (sadly, not open to the public). All worthy award winners. Now, can you tell us about the home in the lead photo?